Limousine service is the best option if you want to reach airport on time. A well-mannered driver in a neat and clean uniform gives a perfectly professional experience and make sure that you reach your destination safely and also help you with the baggage. 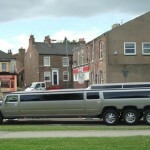 You can save money by sharing the limo services with others because some individuals can’t afford cost of a limo. Also not worry about parking, parking fees or loading/unloading of luggage and waiting for transportation. 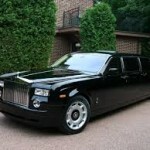 Furthermore traveling in a limo is very relaxing and assist you reduce stress. 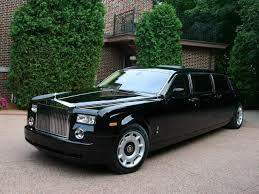 Airport limousine companies have a comfortable fleet of limos e.g. Mercedes, Hummer, Lincoln, Cadillac or all of which feature state of the art interiors. 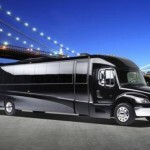 Any limo you choose, it is bound to be clean and well appointed with modern facilities. The comfortable settings of an airport limousine service enable you to do your work or make phone calls without being disturbed. When you are booking West Haven private van and car services, it is very important thing to select a company that has large experience, professional staff and has a large variety of limos. The company should understand your specific necessities when it comes to airport transportation. At the time of reservation an airport limos please do not forget to check their record of track. 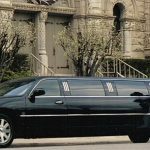 Reservation online enables you to check the fleet of the provider and choose a limo of your choice. You can also visit at TopCTLimo dot com to book Wilton limo and car service. You said very right. Limousine gave you a very relaxing drive. If you are going to airport luggage is the main problem for you. Limousine will help you to easily carry your luggage. While you are going to airport hire a limousine is best option for you. after hiring a ride you a tension free from parking tension and limousine will give you a very comfortable drive. thanks for sharing this amazing article. What's up,I check your blog named "Hire an Airport Limousine or Car |" daily.Your writing style is awesome, keep it up! And you can look our website about تحميل اغانى. I really like the reasons that you listed for using an airport limo service, particularly reducing stress. My wife always gets stressed out when we travel that we'll get where we need to go and get everything done, and I think that having a limo service from the airport would be a great way to take away some of the worry like parking or just having to navigate. I'm going to have to look into an airport limo service the next time we travel to surprise her! Thanks for the tip! I go to see day-to-day a few web pages and blogs to read articles, but this webpage presents quality based writing. F*ckin’ awesome things here. I am very glad to see your post. Thanks a lot and i'm looking forward to contact you. Will you kindly drop me a e-mail? My brother suggested I might like this web site. He was entirely right. This put up truly made my day. You can not consider simply how a lot time I had spent for this info! Thanks! Very efficiently written information. It will be supportive to anybody who usess it, including myself. Keep up the good work - for sure i will check out more posts. I like what you guys are up too. This type of clever work and reporting! Keep up the amazing works guys I've added you guys to our blogroll. Wow, fantastic blog format! How lengthy have you been running a blog for? you made blogging look easy. The overall glance of your site is excellent, as neatly as the content! Hiya! I just would like to give a huge thumbs up for the good info you will have here on this post. I will probably be coming back to your weblog for extra soon. Everyone loves what you guys are usually up too. This kind of clever work and coverage! Keep up the amazing works guys I've included you guys to blogroll. It’s really a nice and useful piece of information. I’m happy that you simply shared this helpful info with us. Please stay us informed like this. Thanks for sharing. Great write-up, I am regular visitor of one’s website, maintain up the nice operate, and It's going to be a regular visitor for a long time. Thanks , I have just been searching for info about this subject for ages and yours is the greatest I have discovered till now. But, what about the bottom line? Are you sure about the source? What’s Happening i am new to this, I stumbled upon this I've found It absolutely useful and it has aided me out loads. I hope to contribute & assist other users like its aided me. Good job. Hey there, You have performed an incredible job. I’ll definitely digg it and individually recommend to my friends. I'm sure they will be benefited from this web site. Hi, i feel that i noticed you visited my website so i came to “return the desire”.I'm trying to find things to improve my web site!I assume its ok to use a few of your concepts!! It’s really a cool and useful piece of information. I’m happy that you shared this helpful info with us. Please keep us up to date like this. Thank you for sharing. I'm not sure why but this website is loading extremely slow for me. Is anyone else having this issue or is it a issue on my end? I'll check back later and see if the problem still exists. At this time it appears like Expression Engine is the preferred blogging platform available right now. (from what I've read) Is that what you're using on your blog? Good write-up, I’m regular visitor of one’s website, maintain up the excellent operate, and It's going to be a regular visitor for a lengthy time. There is visibly a lot to know about this. I think you made certain good points in features also. It’s really a nice and helpful piece of info. I am happy that you simply shared this helpful info with us. Please keep us up to date like this. Thank you for sharing. hi!,I like your writing so much! share we communicate more about your post on AOL? I require a specialist on this area to solve my problem. Maybe that's you! Looking forward to see you. This site can be a stroll-via for all of the data you wished about this and didn’t know who to ask. Glimpse right here, and also you’ll undoubtedly uncover it. Spot on with this write-up, I truly think this web site wants way more consideration. I’ll probably be again to learn rather more, thanks for that info. It is truly a nice and useful piece of information. I’m happy that you just shared this useful info with us. Please stay us up to date like this. Thanks for sharing. Hello.This article was really motivating, especially because I was looking for thoughts on this subject last Saturday. I have been reading out many of your posts and i can state nice stuff. I will surely bookmark your website. Hello my friend! I wish to say that this post is amazing, great written and come with almost all vital infos. I’d like to peer extra posts like this . It’s really a nice and helpful piece of information. I am happy that you shared this useful information with us. Please keep us informed like this. Thank you for sharing. You made some first rate factors there. I seemed on the internet for the difficulty and located most individuals will go together with along with your website. Fantastic web site. Plenty of useful info here. I’m sending it to several friends ans also sharing in delicious. And naturally, thanks for your sweat! Heya i’m for the first time here. I came across this board and I to find It really useful & it helped me out a lot. I am hoping to offer something back and help others like you helped me. Hi, i think that i saw you visited my web site thus i came to “return the favor”.I'm attempting to find things to enhance my website!I suppose its ok to use a few of your ideas!! Normally I don't learn article on blogs, however I wish to say that this write-up very pressured me to try and do so! Your writing taste has been amazed me. Thank you, quite nice post. Whats up! I just want to give an enormous thumbs up for the great info you've right here on this post. I will probably be coming back to your blog for more soon. Hey there, You've done a fantastic job. I will certainly digg it and personally suggest to my friends. I'm confident they'll be benefited from this web site. Good write-up, I am normal visitor of one’s website, maintain up the excellent operate, and It's going to be a regular visitor for a long time. whoah this blog is magnificent i love reading your posts. Keep up the great work! You know, many people are searching around for this info, you can help them greatly. Good post but I was wanting to know if you could write a litte more on this subject? I'd be very grateful if you could elaborate a little bit further. Kudos! You completed certain fine points there. I did a search on the topic and found nearly all folks will have the same opinion with your blog. Helpful info. Fortunate me I found your site by chance, and I'm surprised why this twist of fate didn't happened in advance! I bookmarked it. It’s really a nice and useful piece of info. I am happy that you just shared this helpful info with us. Please keep us informed like this. Thank you for sharing. Just a smiling visitant here to share the love (:, btw outstanding style. "Justice is always violent to the party offending, for every man is innocent in his own eyes." by Daniel Defoe.